I’ll never admit to being ahead of the curve. It usually takes me awhile to catch up with everyone else. When I finally joined Facebook, I felt like I’d arrived late to a party that was already in full swing. Then someone told me to get onto Twitter. I resisted, finally opened an account, didn’t get it, got exhausted trying to keep up with it, and closed it. Then I finally decided–late–that I really had to be there. That happened when the indomitable Cathy Day (who else?) introduced me to hashtags and Tweetdeck, and suddenly I could make some sense of Twitter. (HootSuite is another option that works like TweetDeck to organize tweets via hashtags.) You can find me @LindaEdits if you’re so inclined. I found some folks to follow (agents, other authors, publishers). Then, I went to this site, 44 Essential Hashtags Every Author Should Know, and found some hashtags that I want to follow. By creating TweetDeck columns for some of these hashtags, I have a constant feed, often with links to great blogs and articles, about the topics that matter to me. These blogs and articles give me great information for my classes, my research, and my teaching. I follow people who interest me, I get followed, but I’m not trying to break any records. In fact, another indomitable force, Jane Friedman, explains why chasing after huge numbers of Twitter followers can just be a waste of time. Like any other tool of the trade, we just need to use Twitter wisely and well. Since I’ve jumped back in and found so many interesting links and articles, I also realized the possibility of connections for jobs. 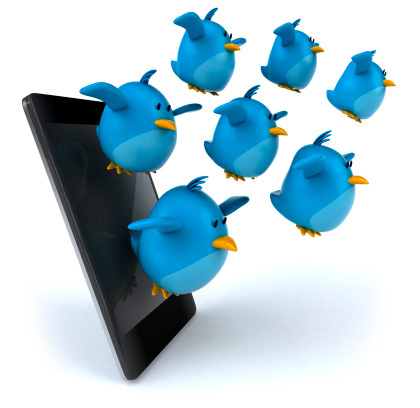 Not only do my students need to understand Twitter, they should be there making connections as well as gaining experience in using it. Sure enough, many of the job postings they’re finding want people who understand and know how to use social media–and use it wisely. So this past week, my students in my Writing for Business class had an in-class exercise to create Twitter accounts. We talked about hashtags, and I gave them the link noted above that lists hashtags for writers. I created a hashtag for the class and everyone created a post and used the hashtag. With TweetDeck projected on the screen, their postings immediately appeared as they tweeted. But I have to admit that it can be a little overwhelming. There is so much information out there that it’s nearly impossible to keep up. TweetDeck does help me by sorting tweets into categories where people are talking about writing or books or publishing or proofreading (my hot buttons). How do you use Twitter? Has anyone done live tweeting as part of class? How can I make the most of my tweets? What do you find most helpful in your Twitter feed? Well, I’m a Twitter Twit, so this post is extremely helpful. I’m very new to Twitter and have not really made the most out of it–particularly hashtags.